Site preparation will soon begin for April’s Grove, OPAL’s neighborhood of 45 new rental residences on North Beach Road. 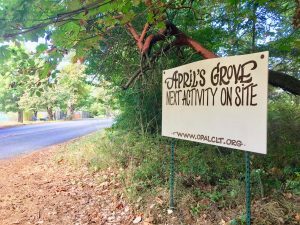 Located across from Children’s House and the Funhouse Commons, April’s Grove will consist of studios to three-bedroom townhomes. Each dwelling will be home for individuals and families who live or work on Orcas Island and need stable, affordable rental housing. For the full Orcas Issues article click here.